Recovered bikes will go on sale for as little as £10 in a new initiative launched by Northamptonshire Police. Northamptonshire Police will open a special shop in the Grosvenor Centre in Northampton on Friday, December 4 where the bikes will be on sale for ‘rock bottom’ prices, according to the force. The bikes have been fixed by a group of young offenders as part of the force’s Cycl-opps project and will go on sale in the pop-up shop between 10am and 3pm in a unit close to Primark. 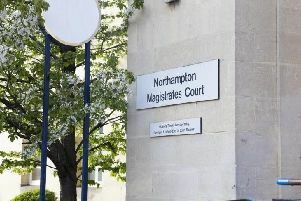 They have all either been recovered or seized by Northamptonshire Police and would have been disposed of if they had not been included in the Cycl-opps project. It is hoped the project will help the young offenders secure work and turn them away from crime. Inspector Dina Sunderland, who helped set up Cycl-opps, said: “We’ll have some wonderful bikes on offer at the shop at prices which will make very reasonable Christmas presents. “It’s wonderful to see these bikes looking so good now, as they were just wasting away in the back yards of police stations across the county until we got them. About 30 refurbished bikes will be on sale at the event, with prices starting from £10. Police officers will also be available at the shop to offer crime prevention advice and a raffle will be held in aid of head injuries charity, Headway Northampton CIO, with the chance to win two bicycles, a range of cycling accessories and a cycling shirt signed by the British men’s sprint team. The Cycl-opps project was created by Northamptonshire Police in partnership with Goodwill Solutions, Growing Together and the Northamptonshire Youth Offending Service. It is based in Moulton Park at a workshop donated by Goodwill Solutions. It is hoped the project will become self-funding through the sale of the bikes. The draw for the Headway Northampton CIO raffle takes place on December 8 and tickets cost £1.